One of the things that I like to paint are my daughters. These portraits are the result of our intimacy. There are spaces where I find these moments of peace, rest and reflection. I want to immortalize these fleeting moments that always go too fast and stop time for a moment , while I caress them with the brush. This world that is falling apart, that suffers and crumbles, and yet is so beautiful that I'm moved by an overriding desire to capture everything I feel and see. To preserve a single fleeting moment of magic, to grasp silence, a certain atmosphere, the air or the wind, emptiness, loneliness, time, tenderness and beauty. Maybe paintings are reminders of the spiritual side in us all that today's busy times made us forget. Sometimes we are surprised by our emotions in front of a landscape. Thoughts flow and link to images, lights and colours, and, just for a few brief seconds, the daily veil vanishes, to let us glimpse one reality beyond. The light that wraps everything can even embellish our leftovers, our derelict buildings .... and becomes a common theme in all my works. It is this very same light that makes me freeze in front of a theme that I had seen one thousand times before. In the end, I no longer know whether it is an external stimulus that makes me stop, or if it is that my thoughts have found one image in which they can dwell. The theme then becomes the lower priority. Countryside or town, landscapes, rooms or portraits. Everything has the power to move us, and so, subjective reality becomes universal, because we are talking about feelings and not images. And we all, in our loneliness and in faraway places, can feel the same. 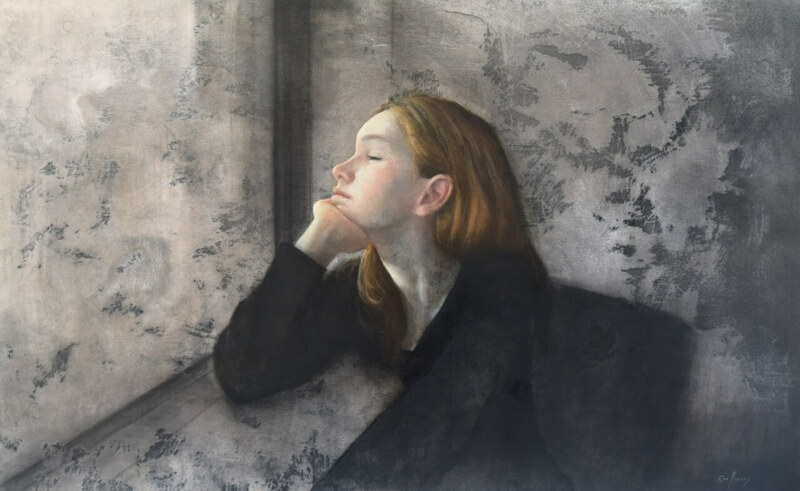 Since graduating from the Sant Jordi School of Fine Art in Barcelona in 1993 Eva has exhibited regularly in both solo & group shows in Spain, and on her arrival in New Zealand in Auckland.